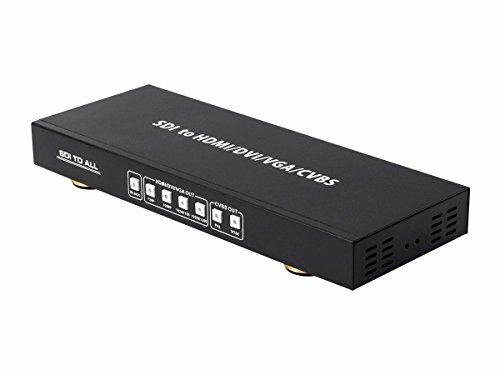 The Monoprice SDI to Multiformat Converter with Scaler allows SD-SDI, HD-SDI, and 3G-SDI signals to be shown on HDMI, DVI, VGA, or composite video displays, making it easy for professionals to distribute and extend their SDI signal while giving the ability to use common commercial displays. The stereo audio output enables users to output analog audio formats, while the loop-through 3G-SDI design allows you to simultaneously show content on both SDI and HDMI/DVI/VGA/composite displays. The Monoprice SDI to Multi Format Converter with Scaler is the ultimate tool for distributing SDI signals displays with different formats.